One peek into our pantry reveals our family’s obsession with granola bars. 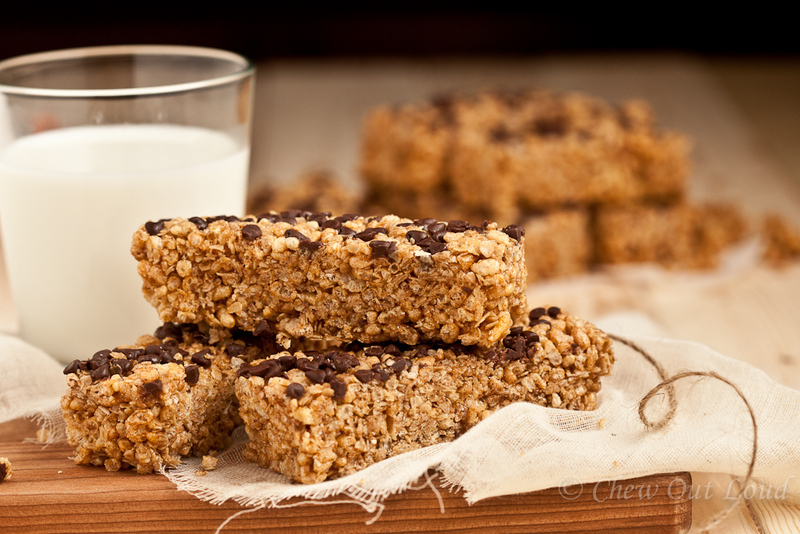 Fruit-filled granola bars, nutty granola bars, and the kids’ favorite… chewy chocolate chip granola bars. But because I’m uber picky about the ingredients that go into the granola bars I buy, it gets pricey keeping a replete supply on hand. Whenever I can, I love making our own granola bars. We’ve done all kinds of granola bars, but my kids’ ultimate fave are these chewy chocolate chip granola bars. Like the store variety, they are chewy and sweet, but infinitely better because you made them yourself. You know exactly what went into them. No ingredients you can’t pronounce. 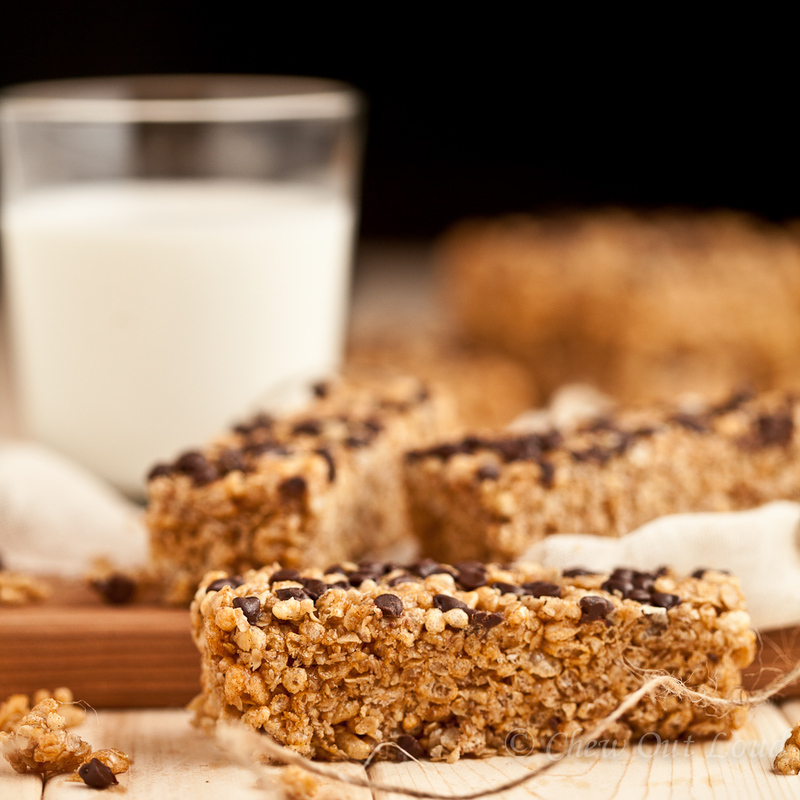 Only the good stuff goes into these yummy granola bars. Sweetened with brown sugar and honey, chock full of oats, and tossed with mini chocolate chips. Exactly eight ingredients went into these addictive granola bars. They store well for days, if kept in an airtight container. Get ready for a quick and satisfying breakfast or snack. You just might need to double the recipe. Butter an 8×8 baking pan and set aside. In large bowl, combine oats and cereal only. In a saucepan, melt brown sugar, honey, and butter over medium heat, stirring, until it reaches a low boil. Immediately reduce to simmer, and stir another 2 minutes. Remove from heat, and stir in cinnamon and vanilla extract until fully incorporated. Allow granola to fully cool before cutting. Store in airtight container. 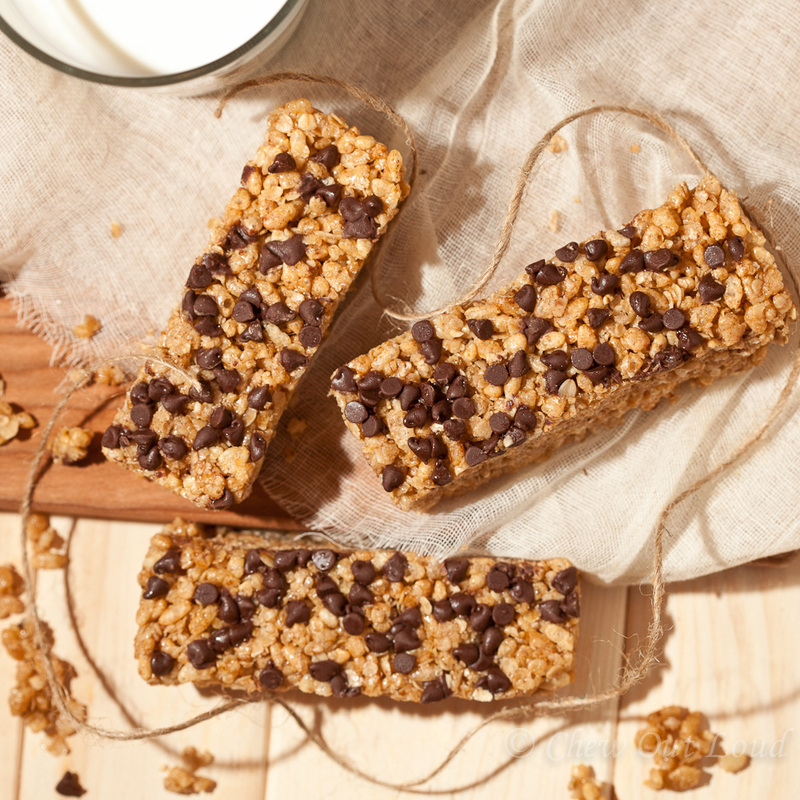 Note: If your granola bars break apart, it may help to chill the bars prior to cutting.